Celtic Galatia (Turkey), 4th/3rd Century B.C. 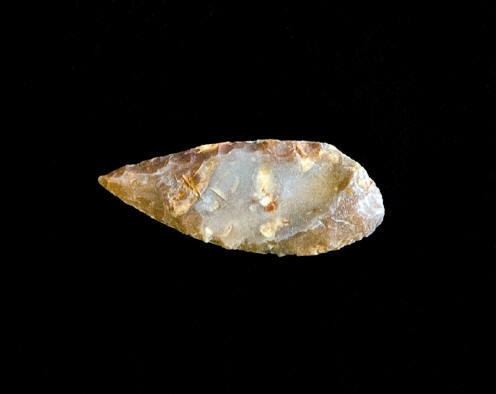 Indo-European, proto-Celtic stone projectile point circa fifth or sixth millennia B.C. 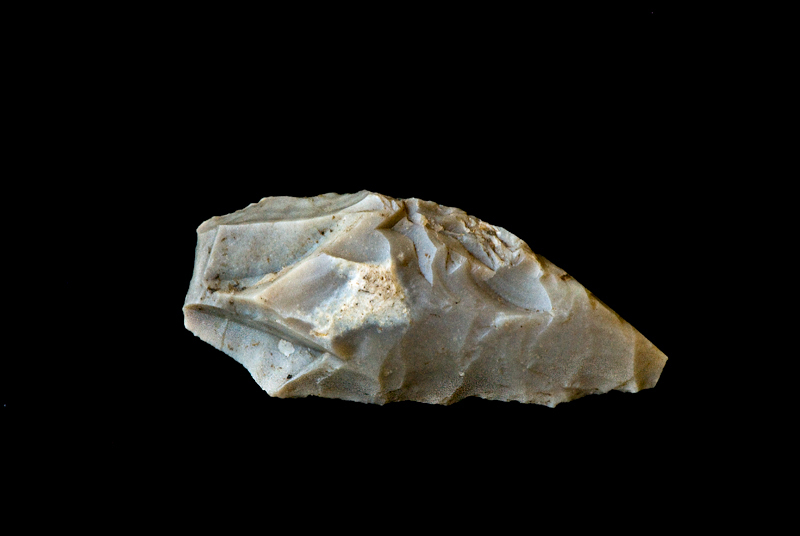 It was recovered in excellent condition, entirely intact, and remains quite sharp. This Middle European flint (platy chert) artifact is a sickle from the Early Neolithic Linear Pottery Culture , dating 5600/5500-4900 bc. This rare piece is 42 mms long. It contains traces of the lacquer-like plant-polishing because of silica in the plant cell walls. Provenance is an old collection. 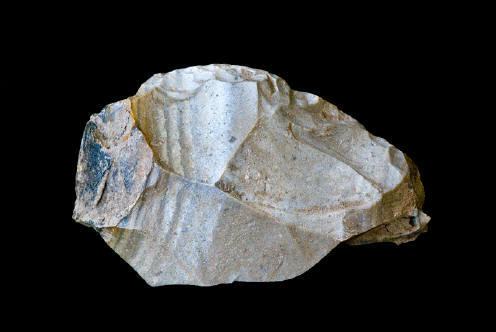 Middle Paleolithic ( Paleolithic ) stone artifact of the Homo Neanderthalensis - the Neanderthal (Neandertal ) men from the Mousterian phase about 40.000 - 60.000 years ago. Most likely a hand ax or a side edged scraper. The length of this flint tool is 79 mms. Provenance is an old southern German collection. This is a group of 9, nice quality Sahara Neolithic Arrowheads and tools mostly from the region of northern Mauritania (south-western Sahara desert). The largest tool is a 2 1/4th inch (54mm) ovate blade, seen in the middle, nice glossy material. The smallest by a hair , is a nice little auriculate-style jasper triangle, it is is 15/16th inch (24 mm). 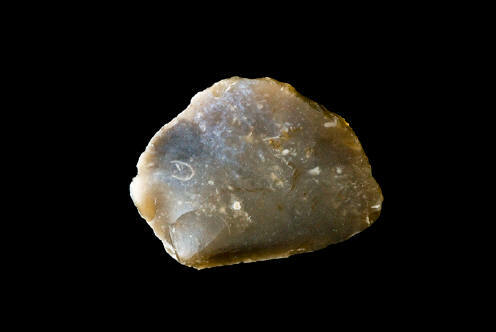 Each point in this group is special is some way: glossy high-grade or rarer lithic type, color, serrations, classic or unusual style, and/or exceptional workmanship. The condition is very good, there are a couple of tiny ancient dings to be found, but overall a very nice sampling of harder to find Sahara Neolithic relics. 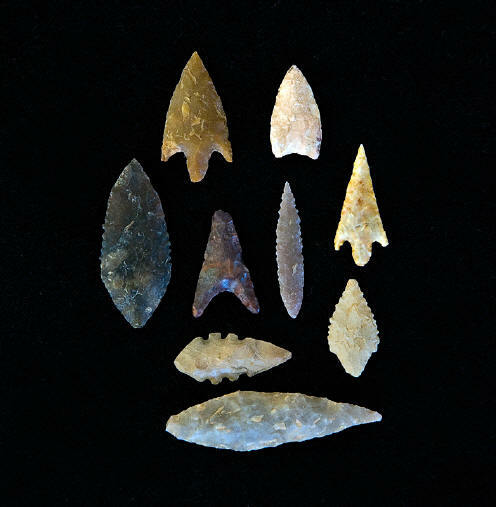 These much better than average Neolithic projectile points. This is the type of relic you can still pick up if you have lots of luck and the opportunity to visit Neolithic sites deep in the Sahara. They were lost or discarded by our New Stone Age hunter gatherer ancestors 4,000 - 6,000 years ago.